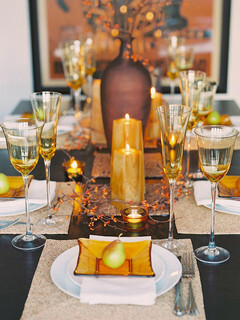 There are countless ways to style your table for Thanksgiving dinner – besides with what you’re cooking for food. Here we feature some of our standard recommendations for creating a beautifully decorated table that still has room for all of your delicious side and main dishes, no matter the size or space of the tabletop. Tealights and votive candles are the perfect accents for creating a little mood lighting and adding a touch of elegance to any table. Scatter a few across the table just as they are, use fall-colored candles to add a warm look and/or incorporate them into other décor and centerpieces. Use your favorite scented candles for an inviting atmosphere or opt for flameless varieties so you can leave them lit without worry. Long, lush festive garland looks beautiful when draped along a rectangular dining room table – especially when you add pumpkins, turkey figurines and other accents to it. However, if you have a smaller or round table, a small wreath or candle ring can step up the style while still leaving you plenty of room for food and guests. 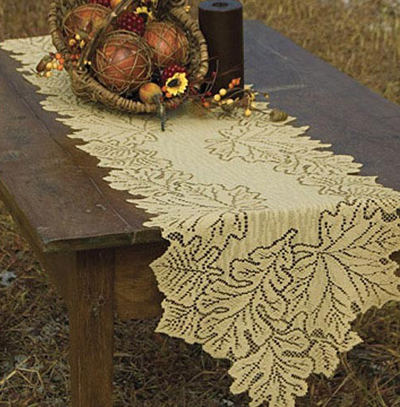 We love the look of coordinating runners and placemats; they really bring the table together in warm, autumn style, and for family meals, when they are machine washable we love them even more! Whether you use a matching set or not, don’t underestimate the power of decorative (and usable!) plates and glassware. Choose a color scheme like warm reds, yellows and oranges; or use one color like silver, black or brown to make your centerpiece(s) really stand out, while still maintaining coordinating and decorative place settings. 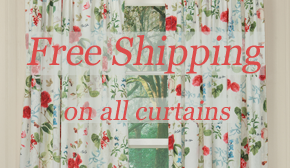 This includes festive linens too – for laying beautiful silverware on top of and catching crumbs during the meal. This entry was posted on Thursday, November 19th, 2015 at 3:31 pm	and is filed under Candles, Decorating, Dining Room, Harvest, Holiday Decorating, Seasonal Decorating, Thematic, Thursday's Theme. You can follow any responses to this entry through the RSS 2.0 feed. You can leave a response, or trackback from your own site.